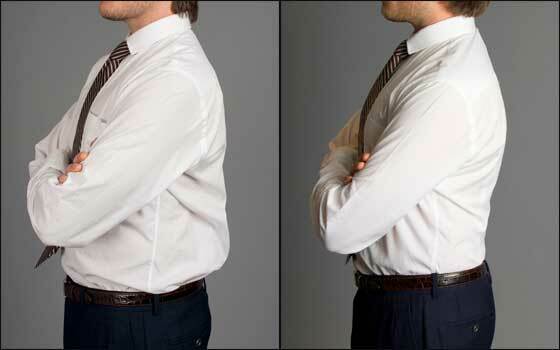 Gentlemen, do you get frustrated trying to find shirts that fit you without billowing at the waist and sleeves? I’m here to tell you, it’s not you, so don’t blame yourself. You’re not the problem, it’s the garment manufactures. Just like we’ve talked about before in this post, clothing manufacturers mass-produce shirts to fit “average” body types. Thing is, I’m not even sure what body type that is because we’re not square-shaped with giant arms. Clothing manufactures are pulling the wool (literally) over our eyes. 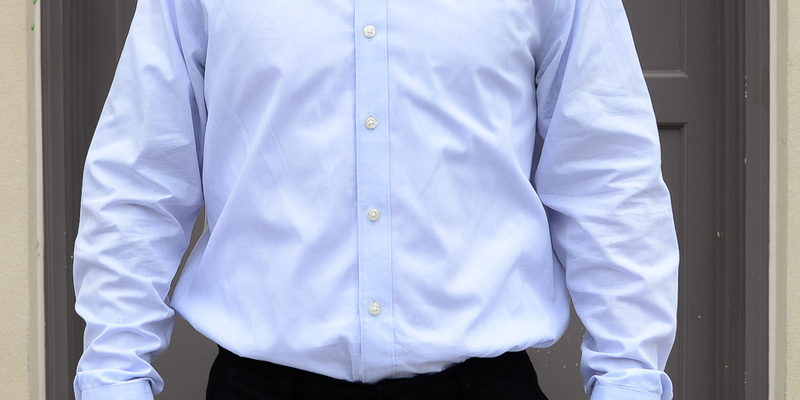 There are so many of the same poor-fitting dress shirts out there we’re becoming numb and accepting that it’s normal and that’s just how it is. Unfortunately, it’s true. In order to sell clothing to a wide variety of people with varying body types, they have to generalize sizing and how they cut a garment. What fits you may not fit the next guy so they meet in the middle and nothing fits anybody. The good news is you do have options. Start shopping at other stores that offer different fits. You can also try sizing down, so if you’re normally a Large, try on a Medium. 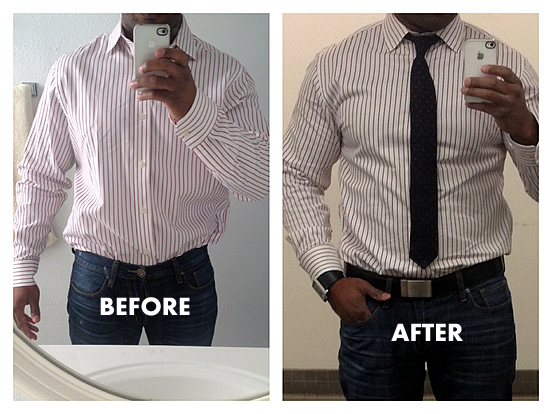 Even if you’re carrying a few extra pounds around the middle, that doesn’t mean you can’t wear a Slim-Fit shirt. Remember, Slim-Fit doesn’t mean tight. It just means the extra billowy fabric is removed. You can also start tailoring your garments. This is something I’d like to talk about and something I’d like you to try. 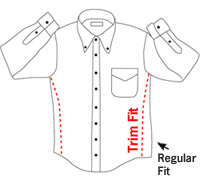 Take a shirt you already own that fits you somewhat baggy and bring it to a tailor. Try finding an actual tailor as opposed to the dry cleaner. In my experience, dry cleaners that also tailor are limited to hemming pants and that’s about it. That may not be the case everywhere, but that’s been my experience. 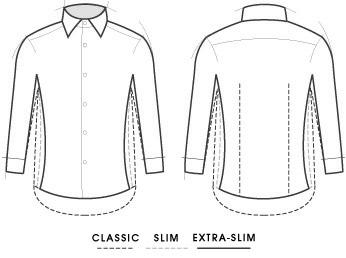 Custom tailoring can provide you with garments that fit your unique body type no matter what the shape. They can add darts to the back of the shirt to remove the excess material bulk, shorten sleeve length properly and reduce the arm size to give you a more custom fit. Want to visually loose 15+ pounds without dieting, tailor your clothes. It’ll blow your mind. Most tailors can handle this type of alteration for about $30. A small price to pay to look and feel better on a daily basis. If you’re in the greater east side Seattle area, I can recommend two great tailors. One is Trillium Tailor and the other is Hartmanns Continental Tailoring. Both are in Bellevue. I’ve been to both and they’re both great. I find Hartmanns a lot easier to get in & out of since Trilluim is located inside the Hyatt Hotel. That means you have to pay to park in the hotel garage or pay for valet. Hartmanns is only 2 blocks away and has a parking lot right out front. I’ve been going to Hartmanns recently and I’m always impressed with the workmanship and quick turn-around. In fact, I just had two pair of trousers done in only two days right before Christmas. I didn’t think they’d be ready until after the holiday, but he wants his customers happy, and I am. He has 50+ years experience and can handle all the latest trends when it comes to the art of tailoring. If you’ve made it this far through my article, maybe you’re willing to go a little further and do something to treat yourself. Grab a shirt you already own and take it to a tailor. You honestly don’t know what you’re missing unless you do. You’ll discover that you no longer have to look for perfection on the rack. If you like the garment in the store and if it generally fits you, you can let your tailor handle the rest.